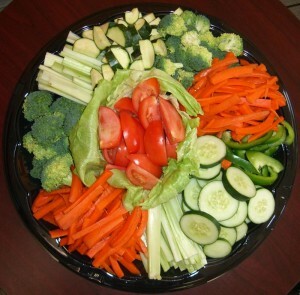 We have a wide range of platters for you to choose from or work with us to create a unique platter. Either way, we’ll be happy to craft a menu that’s perfect for your next event. Chicken Tenders Platter Breaded or fried chicken breast tenders served with BBQ sauce, honey mustard or raspberry. Classic Meat & Cheese Platter Assorted cold cuts and bread served with lettuce, tomato, pickles and olives. Contact us today to discuss your catering needs!